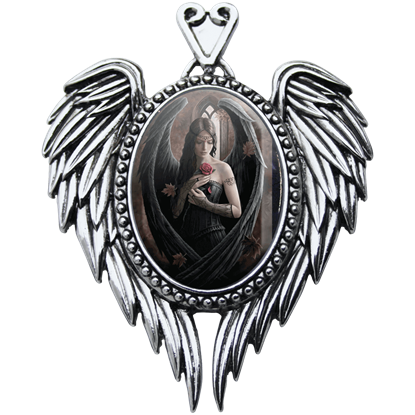 All the gothic pendants that do not have a specific category are listed in this category of gothic style pendants. 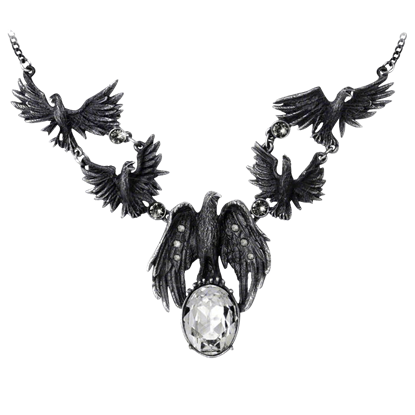 Many of these gothic pendants are made of fine English pewter many with additional high quality crystals and other components, They are also hand-plated or other two-tone finish and all come complete upon their nickel-free chain or other necklace of appropriate length. 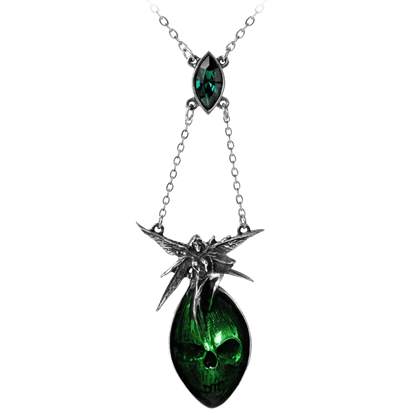 These gothic pendants would make a great addition to any gothic jewelry collection. 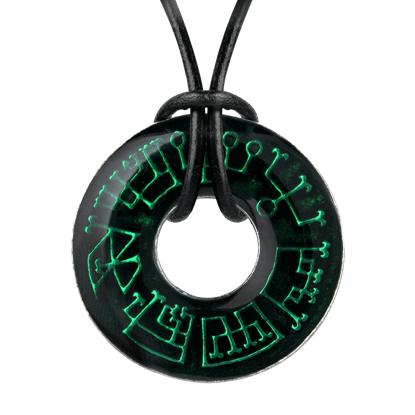 With their varied and unique designs, high quality make, and versatile ways to wear, these gothic pendants are just what you need to add dark style to any outfit. This sumptuous necklace hints at a secret libertine passion for wine and other pleasures with its romantic motif. 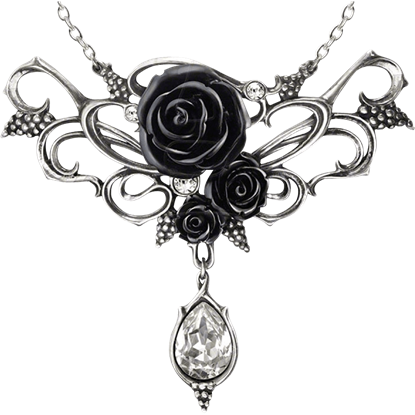 The Bacchanal Rose Necklace displays several black acrylic roses of various sizes in the center of the design. A heart wrapped in barbs is a hard heart to break. 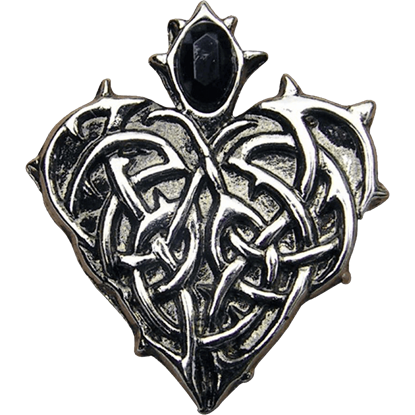 This Barbed Heart Necklace merges what is traditionally the symbol of love with jagged barbs and vines, to create a dark heart of passion for any gothic soul to enjoy as an accent. The heart can be tangled web of emotion and a perfect place for a black rose to flourish. These twinned concepts are depicted by the Bed of Blood-Roses Necklace, which features a complex yet radiant design perfect for any lady. Intelligent tricksters, ravens seem to follow wherever the darker elements of the world thrive. 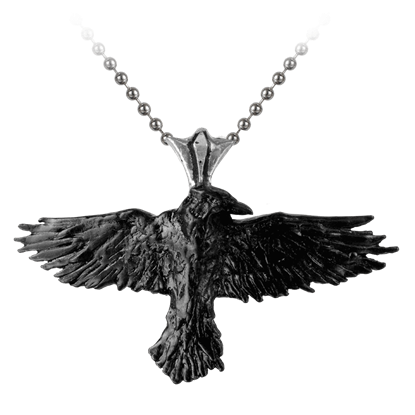 The Black Raven Necklace displays one of these gothic birds as it scans the ground below for potential prey or mischief. The most desired bloom known to mankind, the rose catches the fancy with its shape, smell, and incomparable beauty. 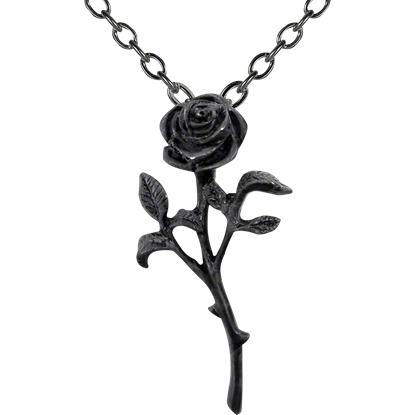 The Black Rose in Bloom Necklace features a single rose on a long stem, crafted with intricate detail. This three-pronged fork of the demons signifies the wearers intent to cast darkness over all that lies before them. 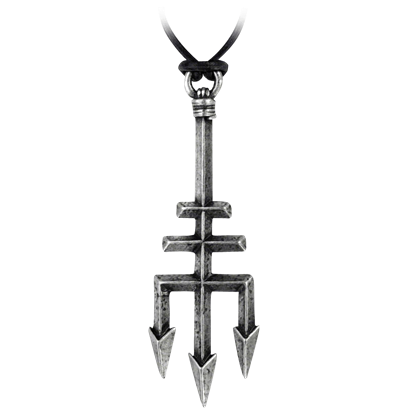 Worn and wicked, few can deny the devilish appeal that is a part of the Black Trinity Trident Necklace. Deception is an age-old tactic that goes back as far as mankind does. 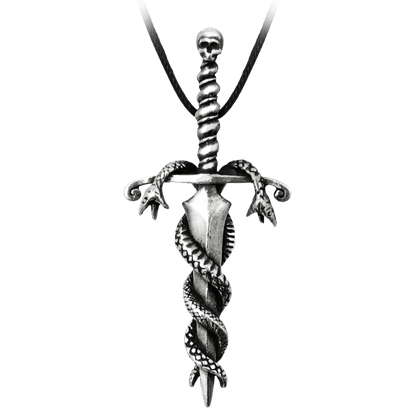 The Blade of Deception Necklace is a symbolic accoutrement that is perfect for anyone whose loyalty is not only fleeting, but also dangerously capricious. 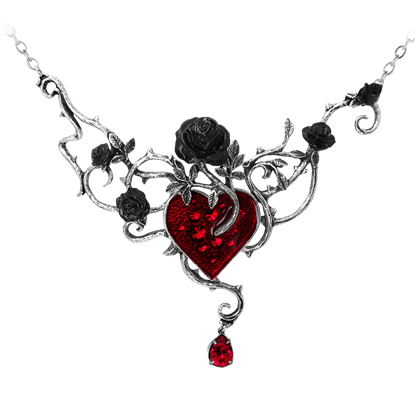 The black roses and bloody red heart of dispassion serve as a tell-tale mark of the femme fatale in this lovely gothic necklace. 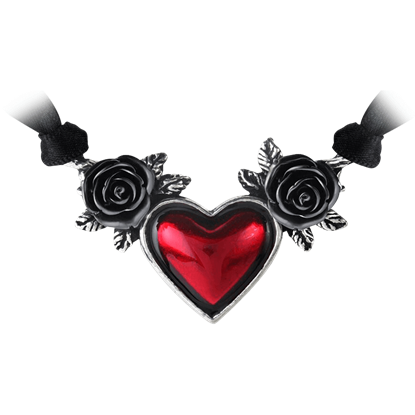 The Blood Heart Necklace is crafted from fine English pewter and hangs on a black satin ribbon.